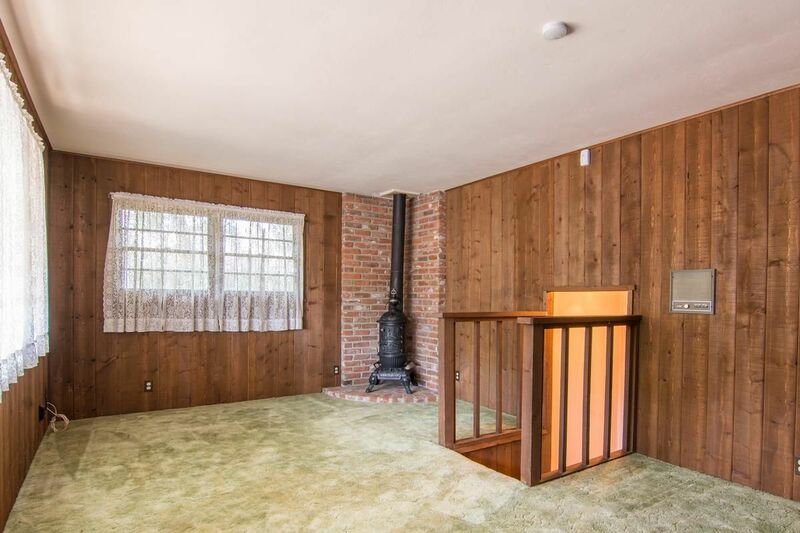 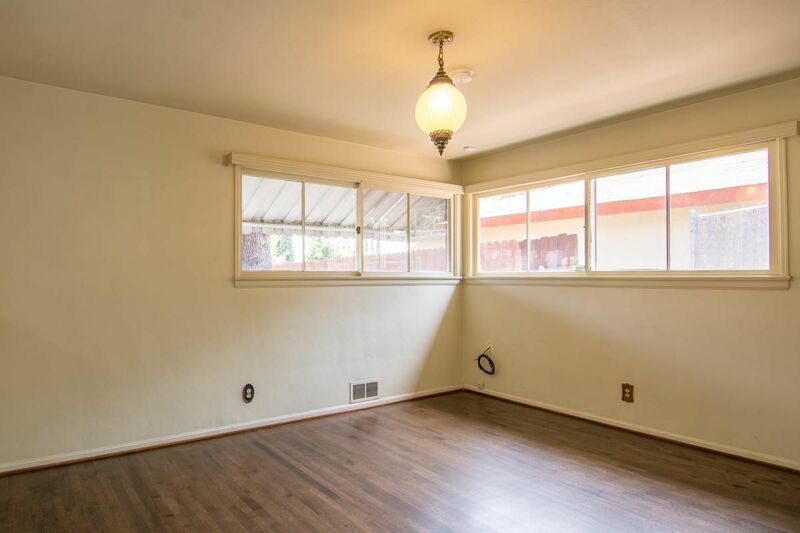 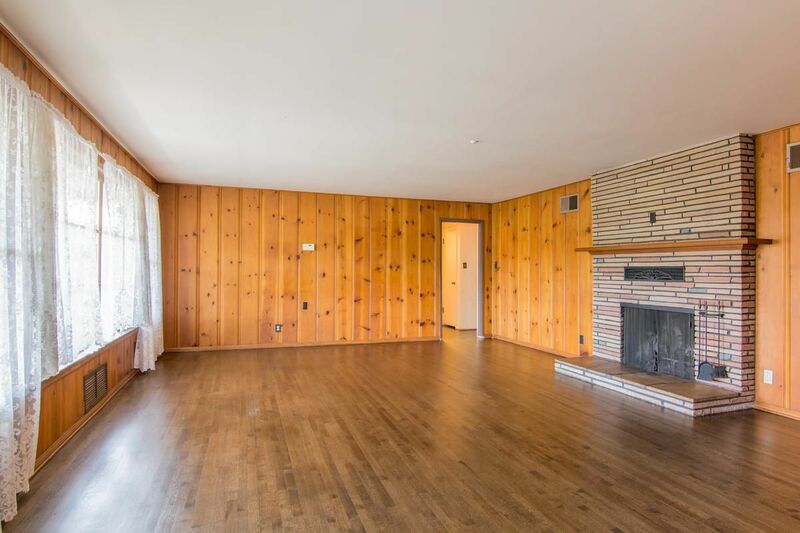 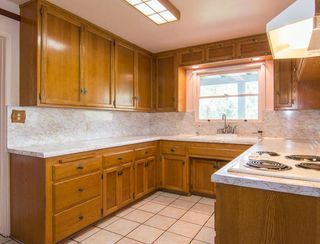 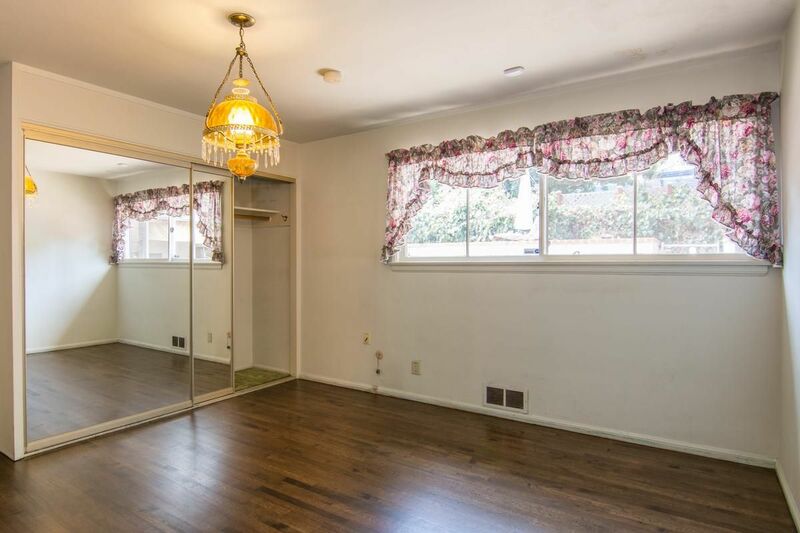 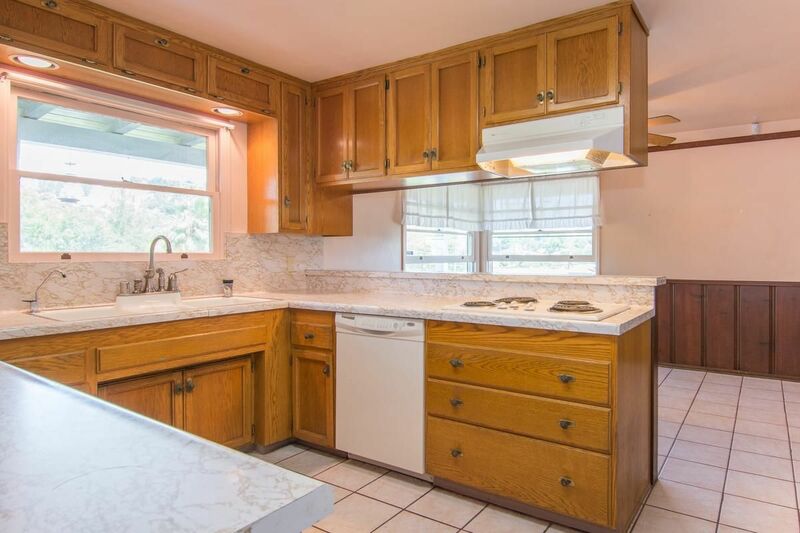 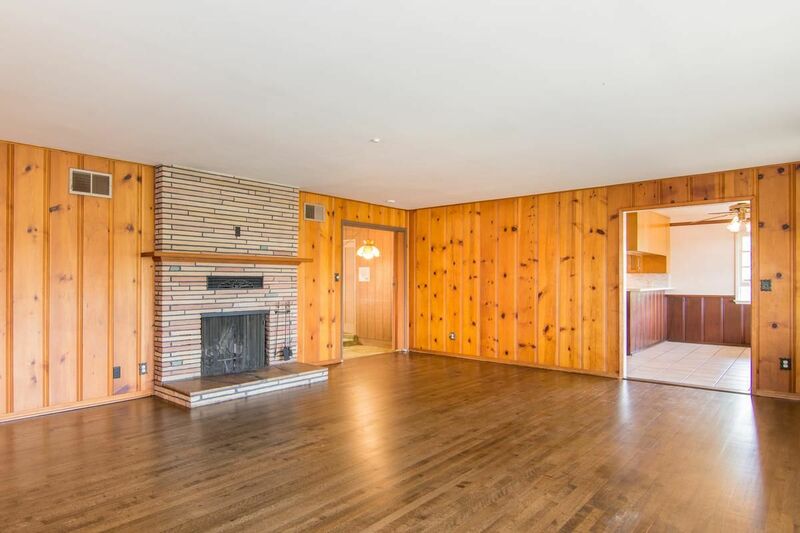 Charming four bedroom, two and one half bath home lovingly cared for by the current family for over 50 years! 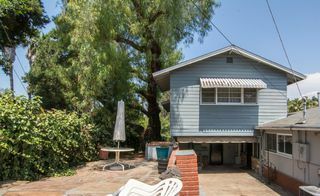 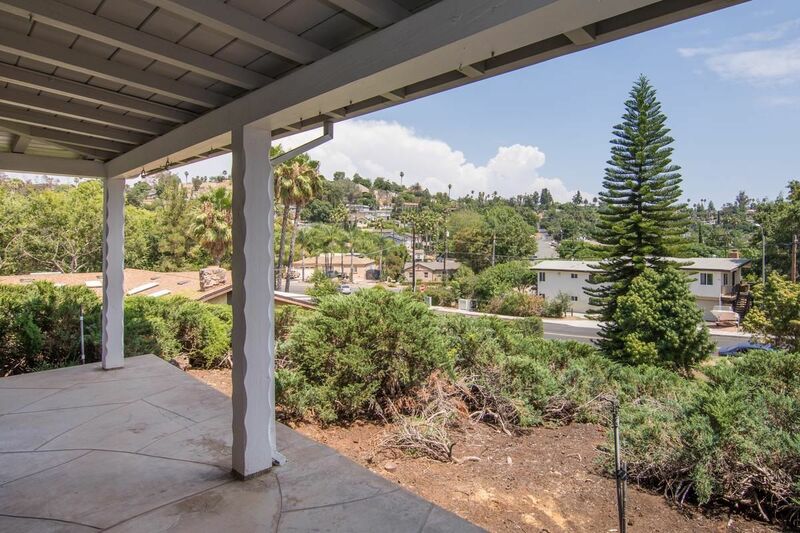 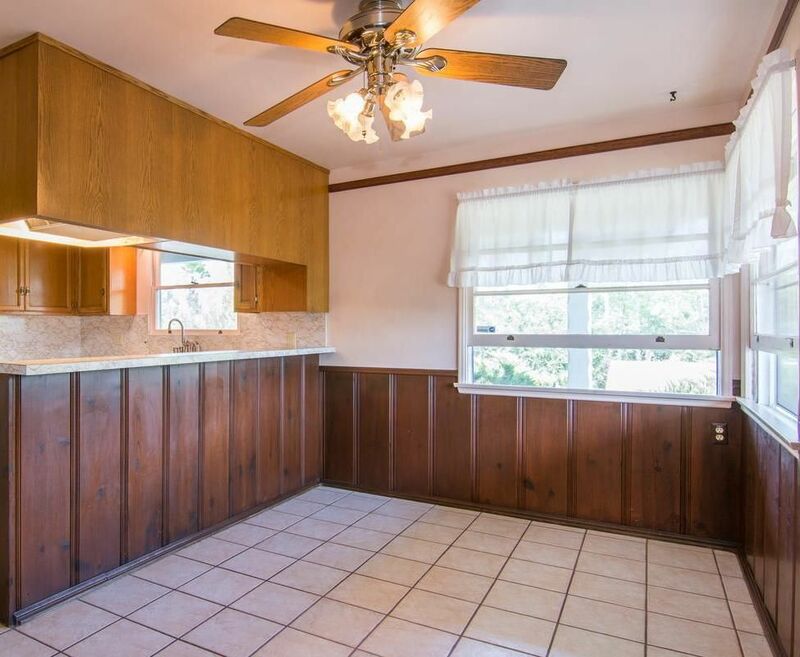 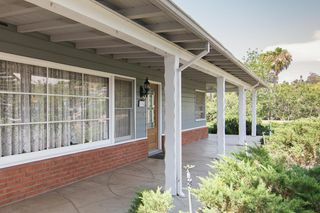 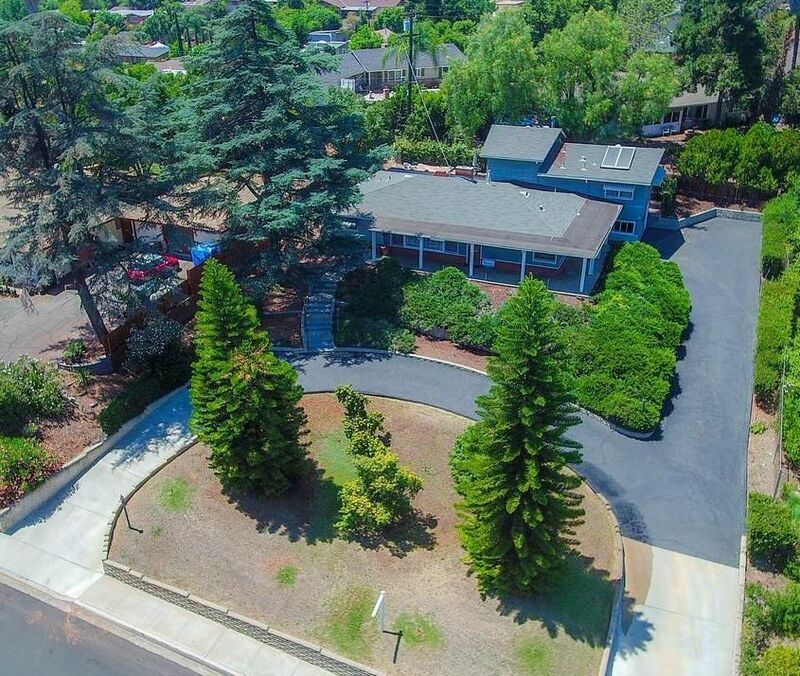 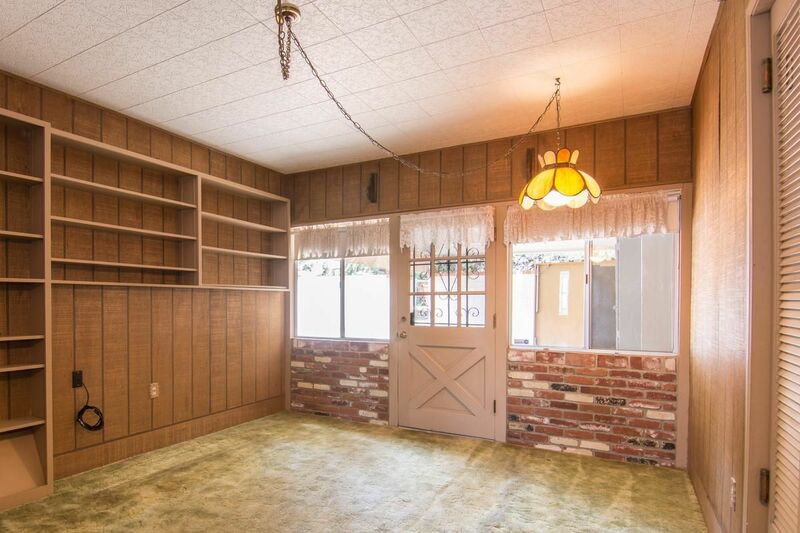 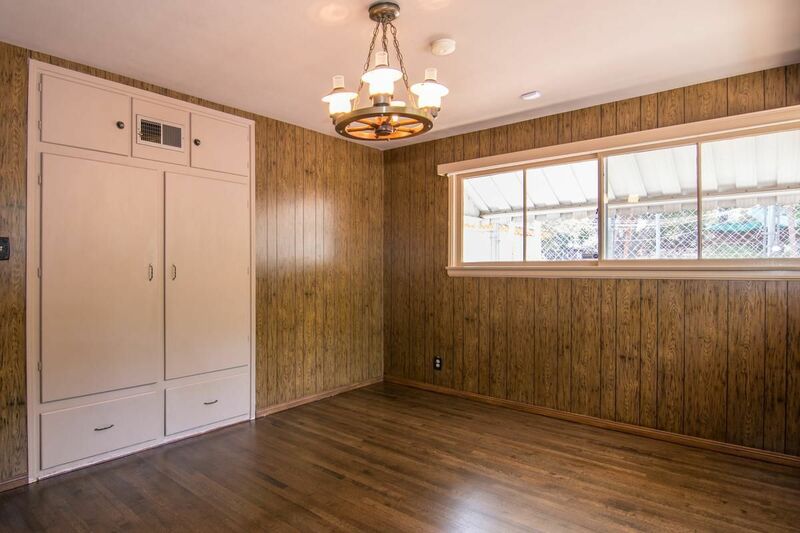 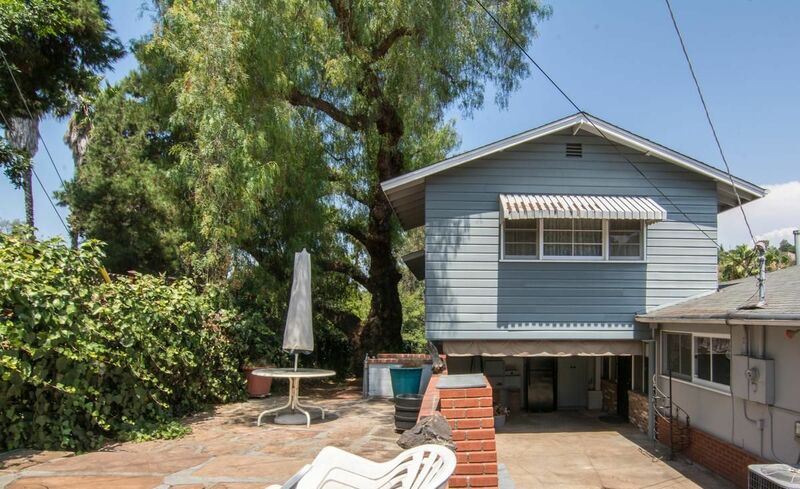 Two level ranch/traditional style home perched on a hill in the historical district of "Old Escondido." 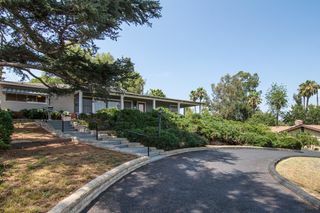 Half moon circular drive leads to steps to enter front door or additional parking by the two car garage on the side. Newly resurfaced oak wood flooring in living room, hallway and three bedrooms on the first level! 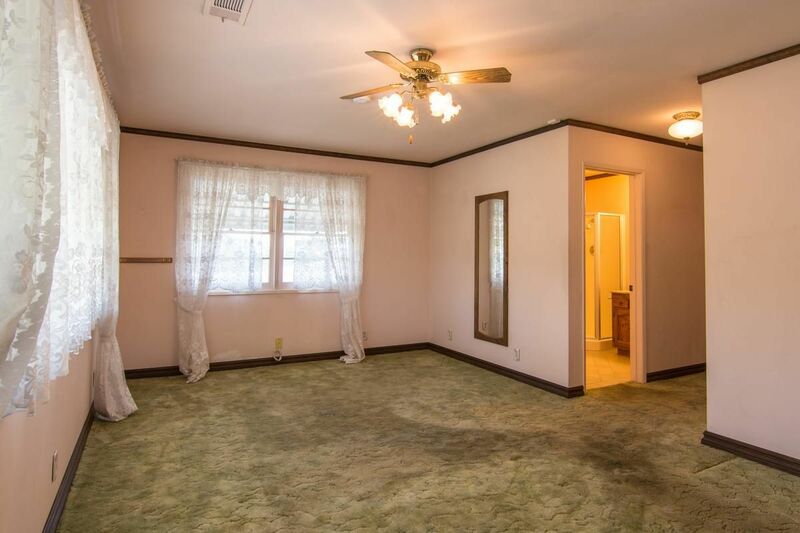 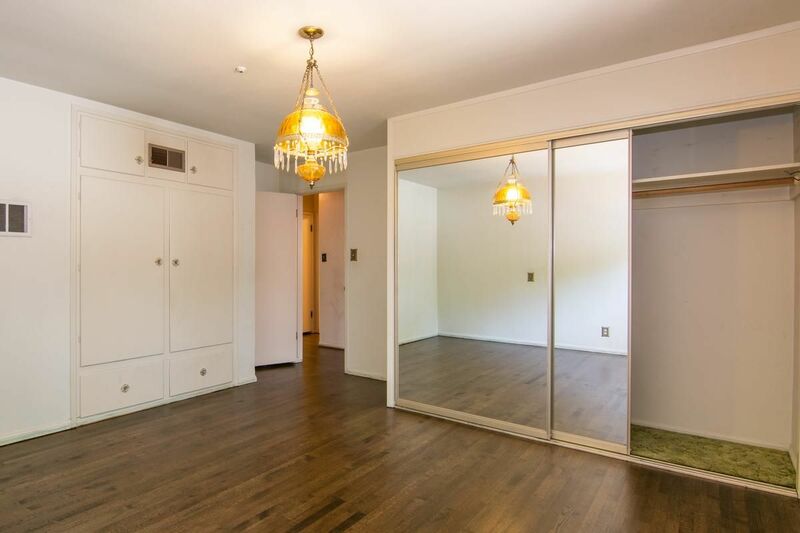 Master Bedroom with walk-in closet, bathroom and bonus room located on 2nd level! 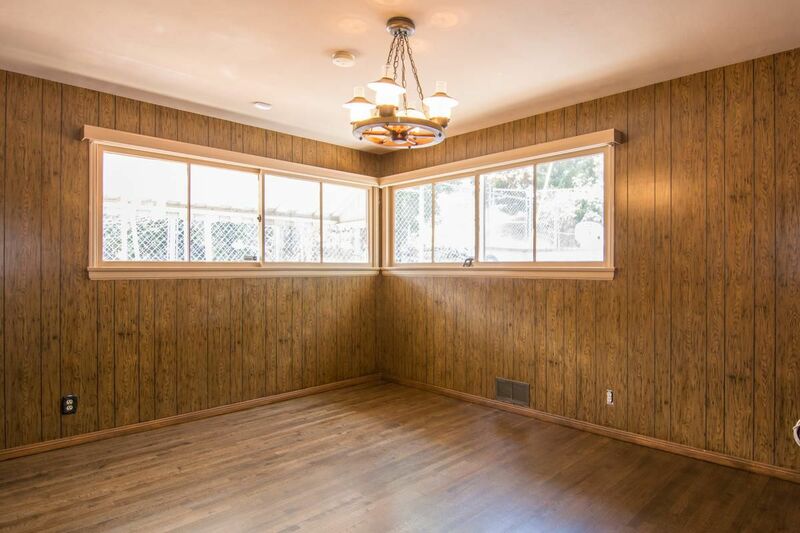 Newly resurfaced oak wood floors! Nice and bright with multiple front windows! 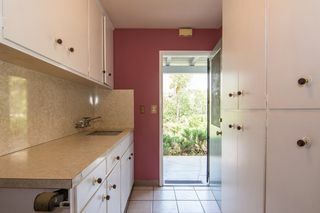 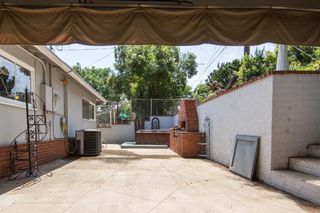 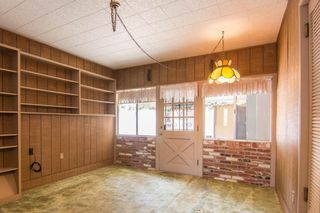 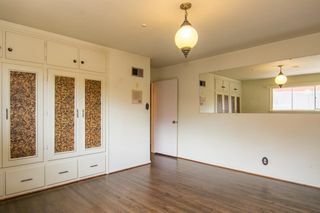 Opens to family/den or kitchen/dining areas! Door to enter bonus room behind kitchen! Additional room located behind kitchen. 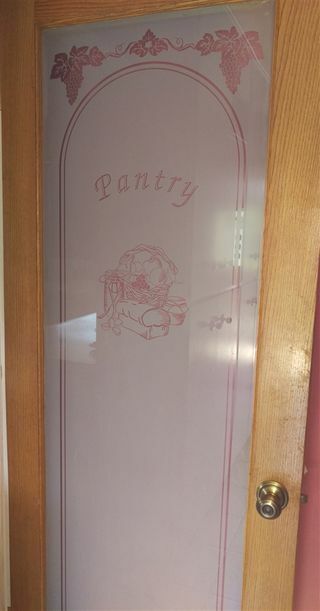 Perfect for storage, Butler's pantry and more! 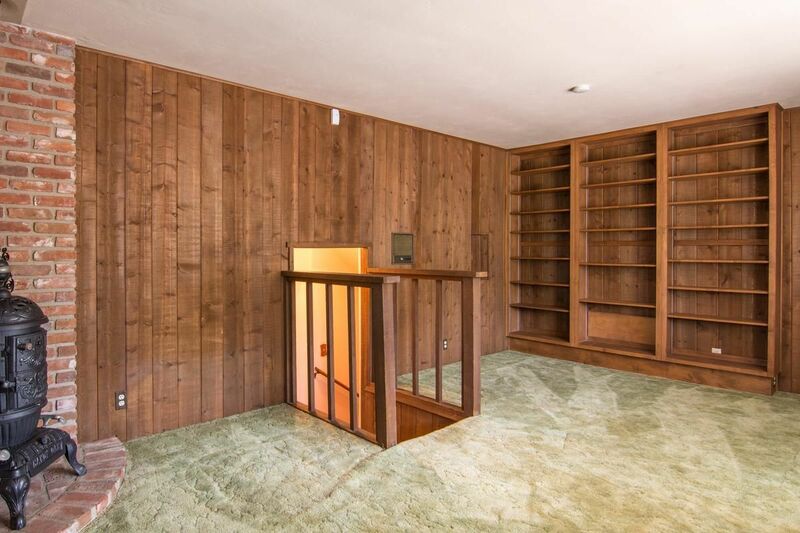 Step down family room accessed by bonus room behind kitchen OR from living room! 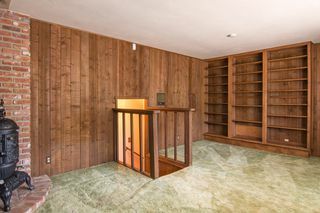 Located on second level across from Master Bedroom. Newly resurfaced oak wood floors! 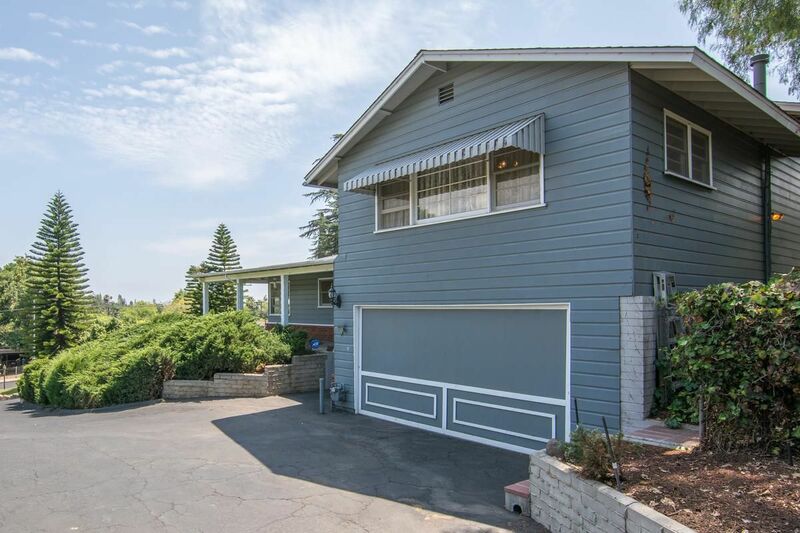 Exterior front wrap around deck with mountain views! 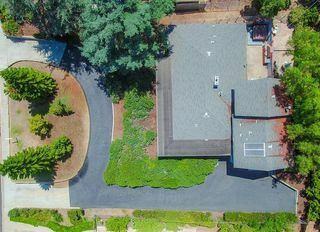 Circular driveway leading front of home! Backyard with built-in brick grilling area! 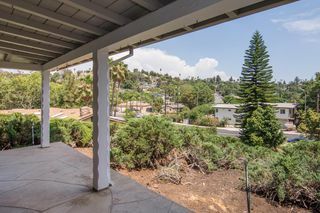 View of mountains from front porch!